Companies responded to the Target Store (Rockhill Drive) for a report of a roof fire. Engine 222 went in-service with a 1 3/4" waterline to the roof (large 10 ton heater on the roof fully involved). Ladder 65 and Ladder 8 opened up the roof around the heater and checked for extension. No injuries were reported but the store was closed for a few hours. Bensalem FMO was on location for the investigation. DC65 arrived on scene and reported heavy fire showing from the rear of a large 2 story dwelling. 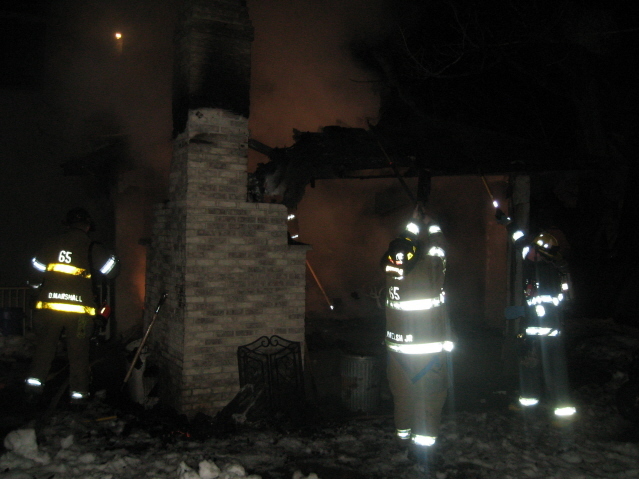 Engine 65 went in-service with a 1 3/4" waterline and discovered the fire was contained to a detached 20 x 20 pavilion on the rear porch of the home. Engine 28 provided Engine 65 with additional water and Ladder 1 checked for extension. 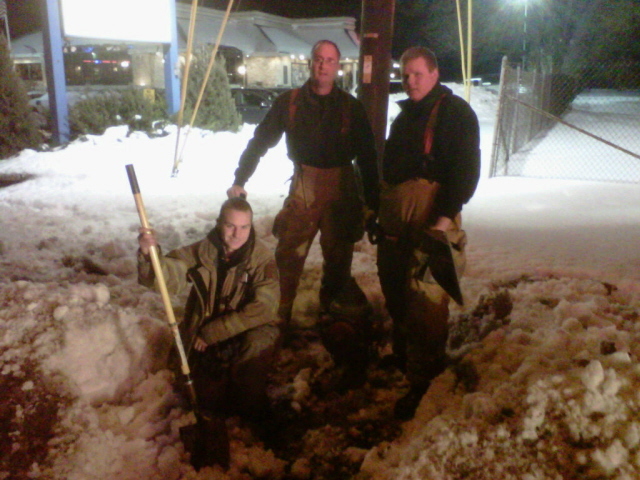 Bensalem FMO on location and no injuries were reported. The officers and members of the Nottingham Fire Department wish to offer congratulations to Chrissy and Ryan Smith, who were married on Friday March 18th. Best wishes from all of us for a long, happy and healthy life together. DC65 reported heavy smoke showing from a 1-story single family dwelling (2900 block of Windsor Dr). Engine 65 established a water supply and went in-service with an 1 3/4" waterline. BC65 (interior command) reported fire in the kitchen and heavy smoke throughout the dwelling. Interior crews quickly knocked down the bulk of the fire and reported negative on all searches. Ladder 1 arrived and went in-service with salvage and overhaul. Assignment was held to Engine 65 / Ladder 1 and Medic 186. Fire was placed under control in 8 minutes. Bensalem FMO and PD on location for investigation. DC44 reported heavy smoke showing from the first floor of a two story duplex and established Newport Command. Engine 65 dropped a supply line and went in service 1 3/4" waterline. Upon arrival Engine 88 pulled a second 1 3/4" waterline off Engine 65. Newport Command reported crews were in service with 2 waterlines and a primary search also placed the fire under control. Bensalem FMO and PD on location for investigation. Chief 65 reported heavy fire showing from side A of a two story single family dwelling. Engine 65 established a water supply and went in service 1 3/4" waterline. Engine 65 made a quick knock and contained the fire to the living room. Upon arrival Engine 88's crew pulled a back up line and L8's crew opened up and ventilated. Bensalem FMO and PD on location for investigation. 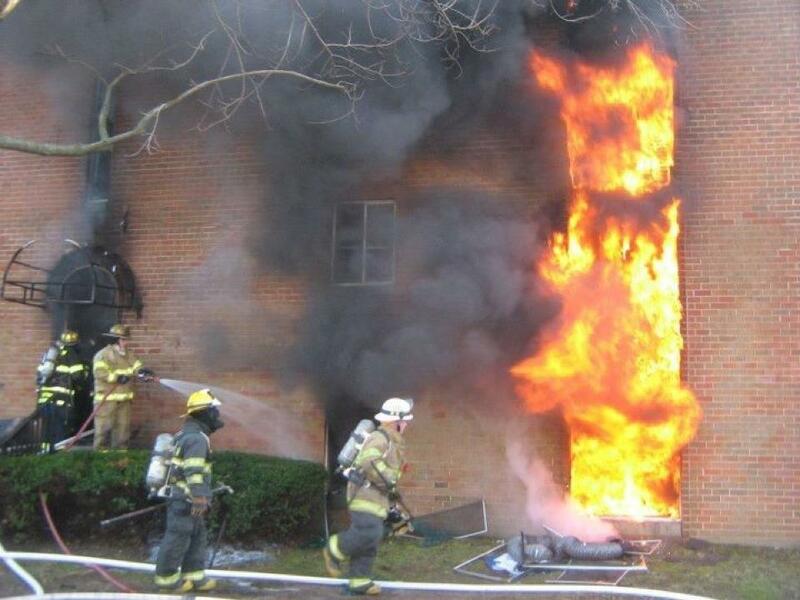 Companies were dispatched to Hunters Court (Hidden Valley) for a report of a dwelling fire with entrapment. Police were on location reporting heavy smoke showing from a 2 story (middle of the row) town home . E88 and E222 arrived on location and went in-service with an 1 3/4" water line. Chief 65 (Harris) established Newport Command and placed Ladder 65 in-service with searching and venting the dwelling and placed E44 in service stretching an interior back-up line. Interior command (Sponheimer) advised they had a heavy smoke condition on the first floor and they were attempting to gain access to the basement. Crews then reported heavy fire in the basement and extending to the first floor. All other searches were negative. Two firefighters from Newport FD were transported to the hospital for burns. Ladder 8 , Rescue 9 and Engine 7 were also on location along with Medic 185 and 186. Bensalem FMO and PD on location for the investigation. 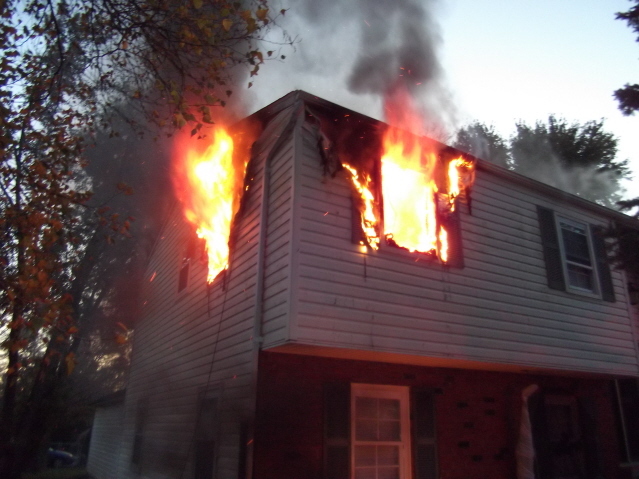 Companies were dispatched to the 1000 block of Brownsville Rd early Friday afternoon. Assistant 8 AOS reporting heavy fire showing from a detached garage. Crews from E9, R8 , L21, and E65 were all placed in service. 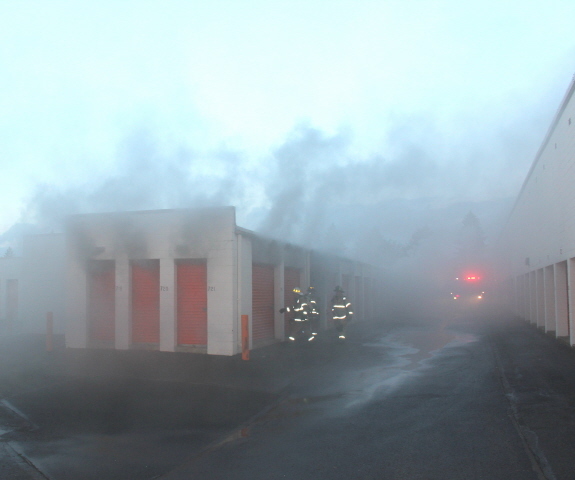 Deputy 65 AOS and reported heavy smoke showing from a 200' x 25' storage building. Engine 4-1 established a water supply and along with Engine 65 forced numerous garage doors to locate the fire. The fire was located in Unit 275 and quickly extinguished. Ladder 65 and Ladder 1 assisted with opening up / forcing garage doors and checking for extension. Fire Investigators from Bensalem Township FMO were on location. No injuries were reported. 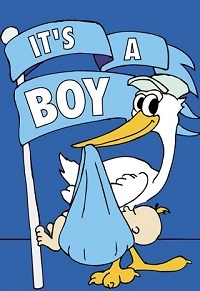 Congratulations to the Sponheimer family, Deputy Chief Robert Sponheimer and his wife Stephanie on the birth of their second child, Anthony Robert Sponheimer ( 7 lbs 4oz) born 5-31-2011. 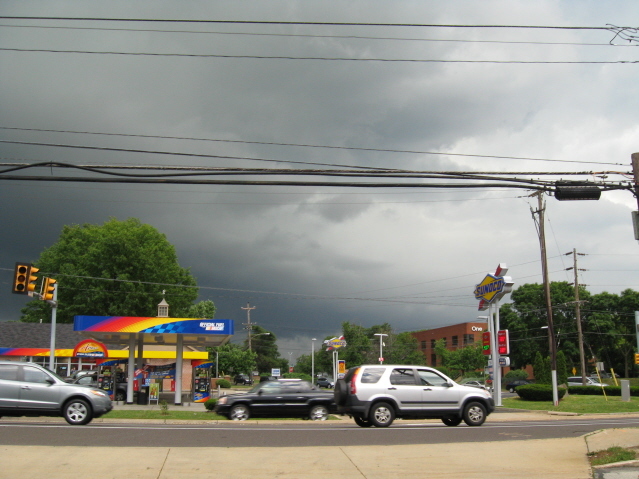 Severe thunderstorms accompanied by high winds, heavy rain and hail rolled in Thursday evening toppling trees, tearing down power lines and knocking out power to several parts of lower bucks county. The flooding , downed trees and wires also forced many road closures within Bensalem. 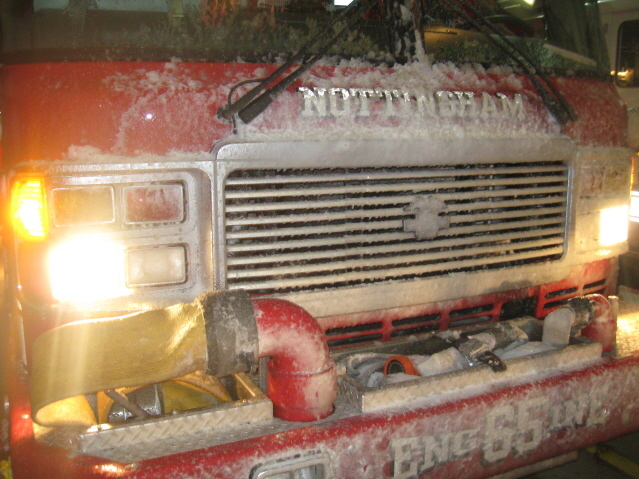 The NFD responded to 12 weather related incidents Thursday night into Friday morning. FM222-7 AOS and reported heavy fire showing from the second floor of a single family dwelling. 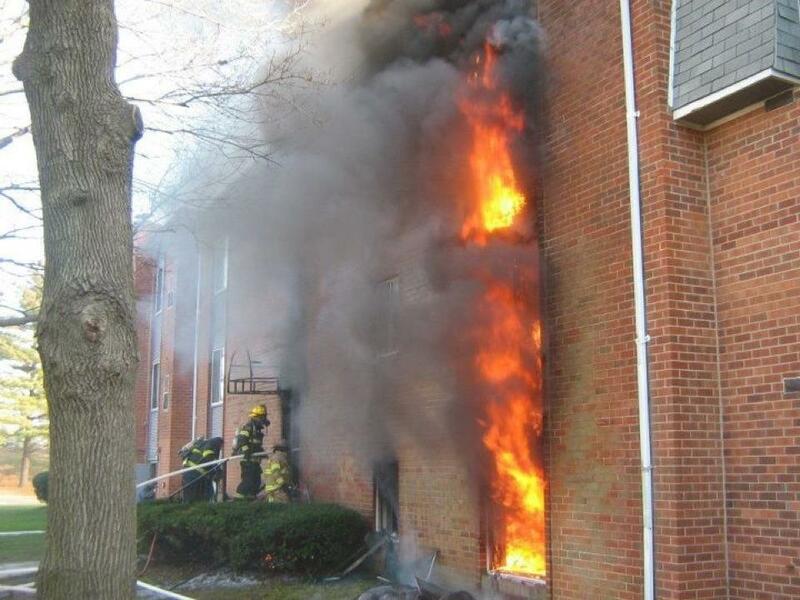 Engine 222 established its own water supply and stretched an 1 3/4" waterline to the interior. Chief 65 set up Eddington Command and ordered Engine 65 to act as a the truck company and open the roof. Interior crews reported bulk of the fire knocked down and the primary and secondary searches to be negative. Engine 88, Quint 28 and Medic 185 on scene. 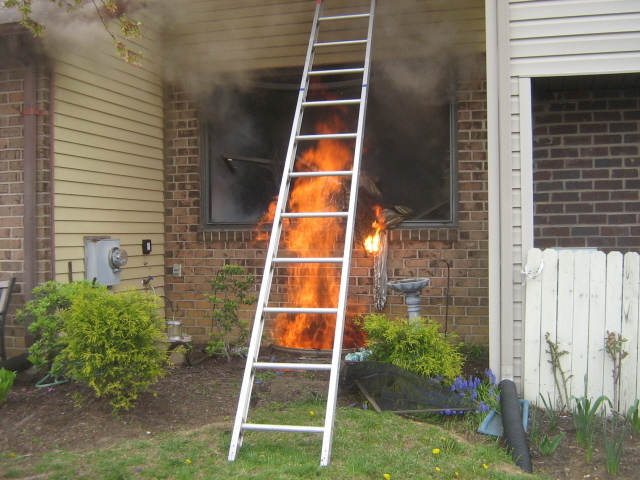 Bensalem FMO on location for the investigation and no injuries were reported. As a rare fall snow storm hit the Philadelphia area on Saturday October 29th, crews were dispatched to the PA Turnpike in the area of the Bensalem Interchange for an auto extrication. Engine 65 AOS and reported 2 patients entrapped and 1 partially ejected. 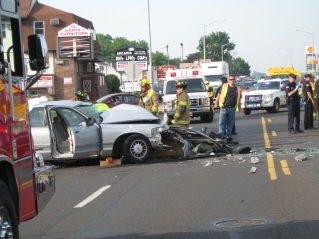 Engine 65, Rescue 4 and Rescue 9 went in-service removing the roof and dash of a BMW. 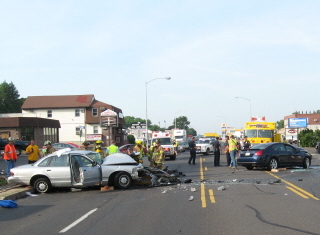 Additional Medic units were called to the scene (M-114, M-168 and M-154). Westbound lanes of the PA Turnpike were closed for over an hour.